Here's the Best Reason to Stay at Corinthia Hotel London! There's no shortage of luxury hotels in London. Corinthia Hotel London is one of the best. • It is glamorous enough to appeal to today's most celebrated entertainers.. Among the famous guests of Corinthia Hotel London: Beyoncé and Jay-Z, George Clooney, Rihanna, Nicki Minaj, and Kanye West. What Exactly Makes the Corinthia Hotel London So Glamorous? 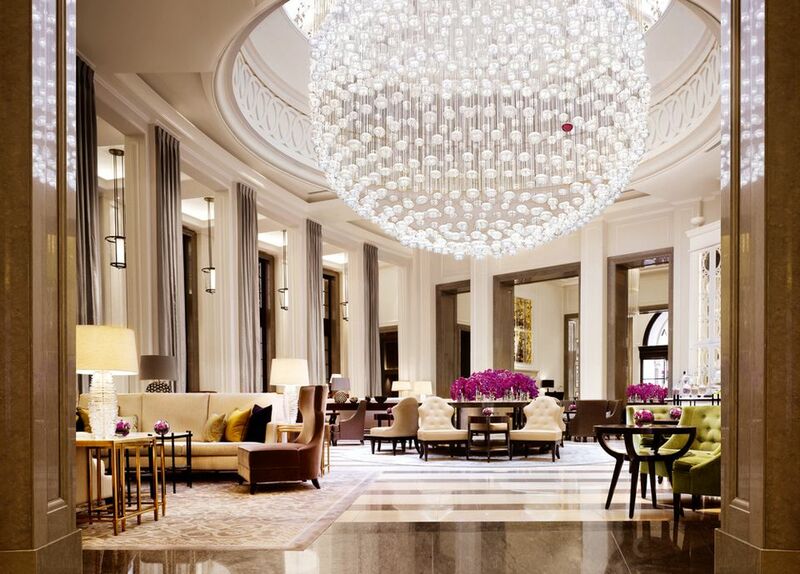 Corinthia Hotel London is firmly on the jet-set A-list as the place to stay in London. Corinthia Hotel London is a beautiful restoration of an opulent building from the Victoria era of the late 1800s. Today, the hotel is the flagship of Corinthia Hotels. This hotel brand is owned and managed by CHI Hotels and Resorts, based on the Mediterranean island of Malta. Corinthia Hotel London is brilliantly situated for London transit. Corinthia Hotel London's 294 guest rooms include 43 enormous suites. Standard rooms, which average almost 500 square feet, are among London's largest. Rooms are modern and deluxe, featuring comfortable, sensible layouts, cutting-edge technology, and ultra-elegant furnishings. Corinthia Hotel London's 43 suites are all two-story duplexes that are richly furnished and tastefully decorated. The hotel's peak suite is the vast Royal Penthouse Suite, like a mansion in the sky. My Deluxe Junior Suite offered nearly 700 square feet of living space. Corinthia Hotel London lacks a pet-friendly hotel policy. Guests at Corinthia Hotel London have their choice of numerous eating and drinking spots. All have high standards of food, drink, style, and service. Massimo Restaurant & Oyster Bar serves both Italian cuisine and raw-bar seafood. The beautiful Lobby Lounge is the hotel's social hub. Here, guests and Londoners meet and greet, in classic grand hotel fashion. Bassoon is the hotel's handsome, musically inspired bar. The Courtyard serves libations in a pleasant al fresco setting. Room service at Corinthia Hotel London is 24 hours and impeccable. The hotel's spa and fitness center, ESPA Life at Corinthia, is one of the most spectacular health and fitness centers a luxury traveler will find anywhere. • An extensive thermal floor provides a sauna, cold room, steam room, and heated marble lounges with a wall of flame and chaises called "Cleopatra beds"